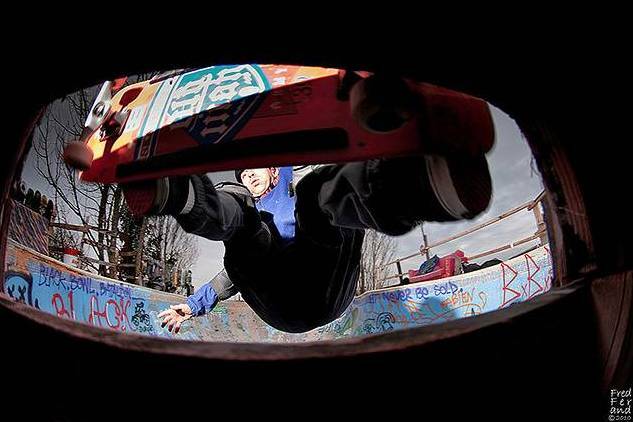 Skaters of the world, unite! Let’s get rid once for all of all the merchants of the temple, the small steps for man (and big for humanity), the rid my lips lip-service. Let’s throw with the bath waters whose who thinks that either you are with us or against us and those who promised change but bring austerity and morosity. Anyway, the more things change the more they stay the same! 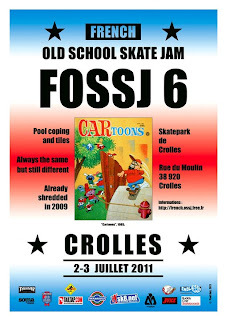 One thing stays the course, the FOSSJ that continues year after year to offer all skateboard veterans in their thirties, fifties and sixties, embittered, mythomaniacs, fat, bald, toothless, jaded, and obsessed, depressed, idealistic, cynical, commercial, wankers, arthritis, cirrhosis, posers, complexed, streeteurs, poolers , verters, sliders, carvers, slalomer, and other high jumpers to come meet the weekend of July 2-3 at the skatepark in Crolles. The prize money this year is totally undisclosed, same for the rules that will be disclosed only after the contest results, depending on who will win or who will drink most beer and eat more camembert. 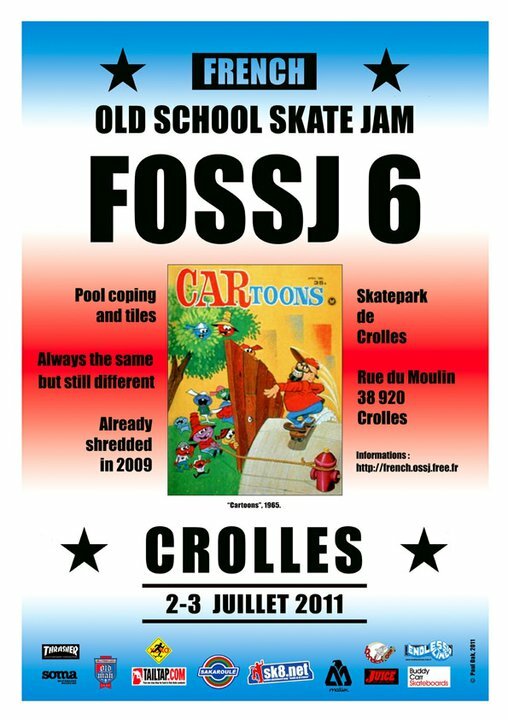 As usual, the contest promises the typical mess: banked slalom, Sausage, Juice Magazine, challenges morons, etc..
Last year, the event was covered by Sebastien Carayol (From SkateBoarder magazine) and “Thrasher“ n° 31, Octobre-Novembre 2010, pages 24-25 a proof, if need be, that the FOSSJ is an international event as big as the X-Games and the Pro-Tec. 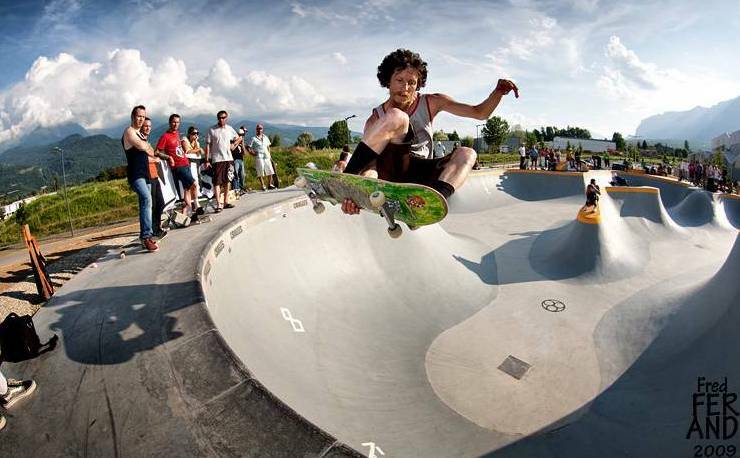 Jerome Chevallier Stalefish Crolles skatepark 2009. At the end be there or be square (pool).